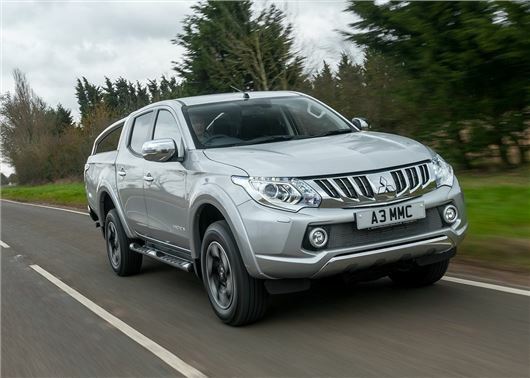 Thousands of Mitsubishi L200 pick-ups are being recalled over a security flaw that may result in the doors not latching correctly or opening in the summer heat. The safety fault affects all single and double cab L200 models built between December 2015 and July 2016; Mitsubishi is in the process of contacting all 4676 owners to ask them to return their vehicle for free recall work. The problem is thought to involve the locking mechanism in the latch assembly, with the door not operating properly in high temperatures. This could cause the door to not latch correctly or unintentionally open whilst driving. To rectify the fault Mitsubishi will replace the entire door latch mechanism. Peugeot is also recalling Partner vans over an airbag problem, after it discovered an internal component within the airbag triggering ECU may have been damaged which could result in the airbag not inflating in the event of an accident. Peugeot has promised to replace the ECUs in affected vans for free. The manufacturer should be in touch, using contact details from the Driver and Vehicle Standards Agency (DVSA) and Driver Vehicle and Licencing Agency (DVLA). If your van or pick-up needs to be recalled you should receive a letter, email or phone call. What if the manufacturer doesn’t get in touch? If your vehicle is second-hand or if your contact details aren’t up to date then the manufacturer might not be able to reach you. But you can check for recalls that affect your van or pick-up on the DVSA website. You can also contact a dealership to check if there is anything outstanding for your vehicle. You’ll need to give them your registration details and possibly the Vehicle Identification Number (VIN). In most cases a recall is issued in anticipation of a problem that might arise – so there’s usually minimal risk. However, correspondence from the manufacturer will make it clear if there is any danger and, in very rare cases, you may be asked not to drive until the vehicle has been checked or fixed. If recall work needs to be undertaken, then you’ll need to make an appointment with your local dealer. They’ll let you know how long the work is expected to take, which will depend entirely on the nature of the problem. If it’s likely to take a long time then you should be offered a courtesy vehicle. No. Mandatory recall fixes and checks are free of charge.